You’re going to get wet, you’re going to smell, and you’re going to have a wicked time. It’s not everybody’s cup of tea, but it’s definitely a memorable experience that you will never, ever forget (depending on A: if you are of the legal drinking age, and B: if your body can handle 3 nights of hard-core drinking). Festivals are a fantastic, once in a lifetime experience. No two festivals are the same, and no two people leave on Monday morning feeling the same way about it. If camping, loud noise, limited amounts of sleep and pot noodles really aren’t your thing, then you may want to reconsider the wild weekend away you’ve got planned this summer. You’re going to be camping, outside, under the unpredictable British weather, and so comfort (moreover preparation) is the key card to play. Obviously a tent is your first port of call here – ensure that it is easy to assemble, sturdy, waterproof and big enough before you set out. A good sleeping bag with plenty of lining is a must to fight off the chill at night, and a sleeping mat is a good idea for extra padding and comfort. Bring foldout chairs with you to sit around your ‘campsite’ with friends, which can be bought from as little as £7.99 from Argos. Bin bags, loads of water, disposable cutlery/tableware, and disposable barbecue’s will go down well with everyone you’re camping with (somebody always forgets), and will make you all feel a little less grubby and dirty. The most important thing to remember about packing clothes is that you’re not going away for a week, only a weekend. Hauling around your best pair of jeans and most expensive pair of squeaky-clean trainers are a no go here. Pack lightly, and you’ll pack rightly. Make sure the clothing you take is lightweight and fast drying, as there’s nothing worse than standing in the sun waiting for your heavyweight jumper to dry off and missing everything and everyone you planned to see. Heading down to Primark can never be a bad idea – a few t-shirts, one jumper, leggings, tracksuit bottoms and shorts that in total come to under £50 won’t let you down. Wellys are a must – they’ll withstand the rain, the mud, and the walking, seeing you through the whole weekend easily. ‘Fanny-pack’ style bags are all you need in the day, giving leeway for sun tan lotion, sun glasses, fold-up waterproofs, water bottles, disposable cameras, and anything else you see fit and necessary. If you have long hair, TAKE LOTS OF HAIR BANDS! Standing in a crowd with beer soaked, greasy, and heavy hair is not a good look or feeling. Unless waiting in a shower line for half an hour in a swimming costume at 6AM is something you look forward to, toiletries will come as your saviour. Baby wipes will not let you down in your time of need – be careful not to over pack them as they can be heavy, and you’ll end up needing a lot less than you think. ‘Intimate’ wipes for the downtown area are good to have, avoiding any itchiness, odour, and uncomfortable feelings throughout the weekend. Items such as deodorant, toothpaste, mouthwash, and toothbrushes are all available in travel/holiday sizes, to avoid lugging round heavy and space wasting products for just one weekend. Batiste dry shampoo will become your BFF, and you’ll be thanking its creator from now until forever. Oh and it doesn’t matter which gender you identify as, you will be needing and using makeup wipes at some point – UV paint, sticky beer facials and outran mascara are a hassle to get off any other way. Way ahead of time, make sure you know who you’re going with, how you’re getting there, and how you’re getting back. The last thing you want is to be left stranded by yourself at a train station, waiting for someone to come to your salvation because you’ve caned your cash on booze, burgers, and bandanas. Knowing whom you’re going with makes it easier to plan what acts you’re going to see, on what stage, on what day, and at what time. Planning in groups makes things a whole lot easier, and ensures you get to spend your weekend more of how you want to, and less of how everyone else wants to. Safety comes in numbers – no matter how much security there is on hand at the event, dangers always will arise. 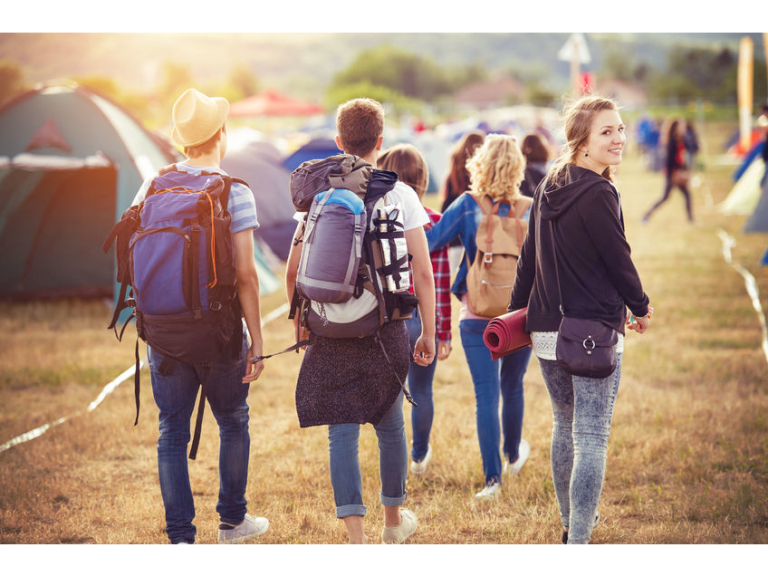 Try not to go anywhere alone, particularly at night, and don’t take anything off of anybody who offers you it – the last thing you want is to see your festival from the walls of a medical tent, so be extra careful over the duration of your visit. Avoid getting caught out in the sun and becoming ill because of it. Make sure you pack a good quality sun cream with a minimum SPF of 30, as well as hats and sunglasses to keep yourself cool if its too hot. If someone of somewhere looks dodgy, there’s a good chance they will be, so don’t go anywhere you don’t think looks safe, or push yourself way out of your comfort zone. When it comes to act, don’t rule out anybody – the more you get to see, the better your experience will be. The most important thing about festivals is that you have a good time, stay safe, and enjoy your weekend as best you can. and food – as well as a slightly odd obsession with seals.